My newly designed website went live tonight. I'm so excited. It looks much better than my old site but you do have to have flash installed on your computer to view it. The opening page gives you the option to download it if needed. I bought the template from bludomain.com and customized it to my needs. I still need to add some things in the "fun" section, but the main site is fully functional. Check it out... MY NEW SITE... then let me know what you think...especially if anything bugs you. 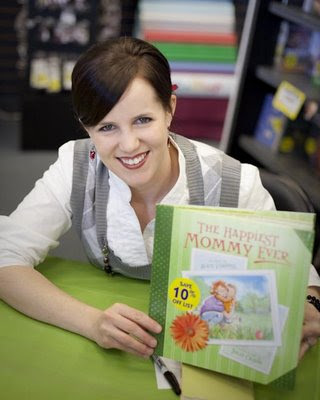 I did my first book signing for "The Happiest Mommy Ever!" one week ago at Seagull Book in Spanish Fork, UT. 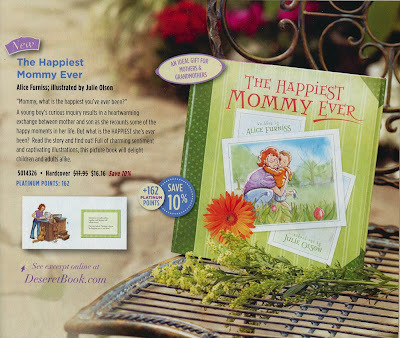 I will be doing another signing tonight (April 4th) at Deseret Bookstore in University Mall in Orem, Utah (the mall is on the corner of State Street and University Parkway). I'll be there signing from 6-8pm. The store is having 20% off everything so don't miss out! Here are pics from last week that my husband came and took.